Winter is the perfect time for masks. Winter sun exposure, if there is any sun where you live, can be even worse than summers’. And all that dry air certainly doesn’t help as well, leaving skin dry, chapped, and in need of a good soothing. Add to that, that a lot of us have more time on our hands inside and so what are you waiting for? Transforming and resurfacing masks leave you with the tightened, plumped aura of a person who really does all those things we are told to do every day for our skin but, obviously, don’t always. Here are our top 7 treatments we have personally tested and come to love. Of course there are plenty more out there, so please share if you have found others that can give you the skin of a 12 year old! Babyfacial is an amazing choice for those have dull and uneven skintone. This innovative mask is an at-home facial that contains 25% AHA and 2% BHA that effectively yet gently resurfaces skin and exfoliates the pore lining. It will dramatically smooth texture, minimize the look of fine lines and wrinkles, refine pores, and boost overall clarity and radiance. Babyfacial is probably the best AHA/BHA mask on the market which is also packed with a potent, soothing antioxidant complex, plus chickpea flour for incredible brightening, this next-generation mask reveals a youthful, glowing, and baby-soft complexion. Babyfacial has the ideal pH level of 3.5 to 3.6 with a blend of acids that work together synergistically to ensure higher efficacy, while helping to avoid redness and irritation. Tata Harper Skincare Resurfacing Mask enhances your skin’s radiance and improves its appearance by eliminating dull skin cells as it has a natural sources of beta-hydroxy acid (Willow Bark and Meadowsweet). Use the mask every day for 2 to 3 days, then reduce to 1 to 2 times per week for softer, glowing skin. Apply a thick layer over the face, neck, and chest. Leave for 15-30 minutes, then rinse with warm water. This amazing pharmaceutical-grade, lactic acid based treatment is an instant complexion booster, plumping fine lines and exfoliating to reveal brighter, newer skin. It contains licorice which naturally brightens the appearance of hyperpigmentation. It has a lightweight, easy-to-apply lotion texture. How to use: Leave on for one to 10 minutes as a mask for an immediately radiant, deep detox facial. Layer under your favorite cream to fight the appearance of stubborn hyperpigmentation. Can be applied under foundation as a radiance primer, without any oiliness. Miracle Revival Mud is formulated with bioactive silts found in European spring-fed lakes along with other absorbing and skin-conditioning agents that allow this mud to do its job of absorbing excess oil without leaving skin feeling tight or dry. And who doesn’t love playing in the mud? Well, just in case, this mask is easy to rinse off which is rare for kaolin-based mask. 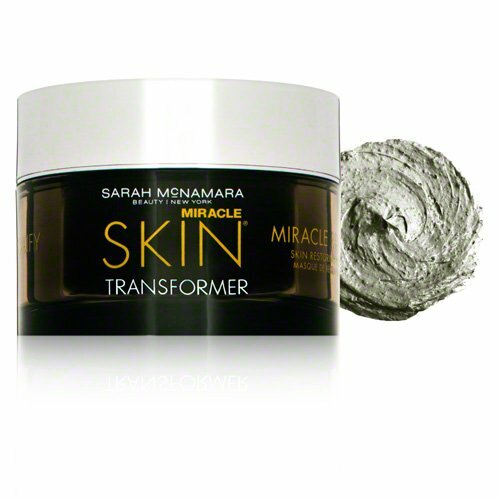 A professional-quality anti-aging treatment in a jar that softens and brightens in as little as 10 minutes. It provides gentle resurfacing exfoliation so that skin is even-toned and bright while delivering a tighter, more youthful appearance with visibly minimized pores. A top fragrance free, gentle clay-based mask that works to reduce excess oiliness. Not only does this mask mattifie your skin, but it also helps detoxify as well. Charcoal powder draws out deep-seated debris to purify pores while mineral clays soak up excess oil. Your skin will be left feeling fresh, smooth, young and beautiful and your pores will look noticeably refined. Lizzie here. I'm a stylist and skincare expert sharing some fantastic finds that make a girl's life charming.